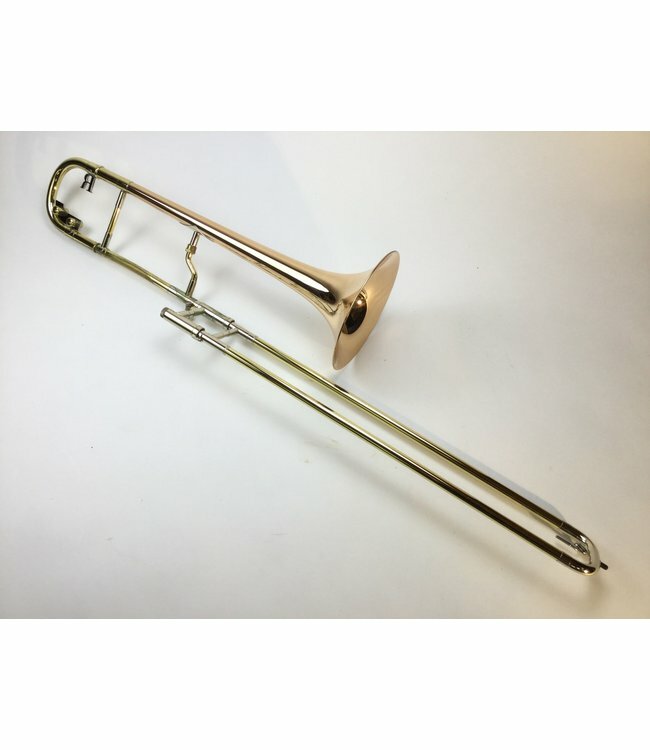 Used Rath R4 Bb straight tenor trombone in lacquer. Includes 8.5” (845 weight) red brass bell, yellow gooseneck, yellow tuning slide, .547” standard weight handslide and 41 yellow brass leadpipe. Instrument is in good condition with lacquer wear throughout and surface scratching. Includes case.